Kolkata Egg rolls are different from Mumbai’s Frankies, Delhi’s rumali roti based rolls, South American Tortilla wraps & Mediterranean Shwarmas. The difference is that the ubiquitous egg roll is paratha based instead of maida roti based. Kolkata rolls also have two major types – the handcarts that we see all over the town vs. the traditional Muslim eateries. The rolls in handcarts have a thin oil fried paratha whereas in the traditional Muslim eateries like Zeeshan or Nizams, the rolls are made with thick layered parathas that are fried in ghee / dalda. Welcome to my take on the ever popular egg roll that is inspired in parts from both the above-mentioned varieties of Kolkata egg rolls. 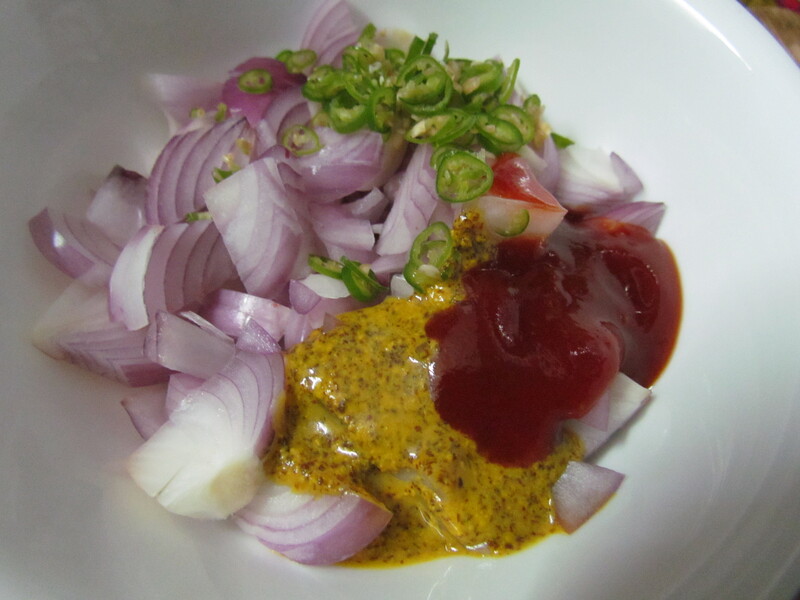 For the filling, add tomato chili sauce & mustard sauce (Kasundi) to a bowl of two freshly chopped onions & finely chopped Green Chillies. 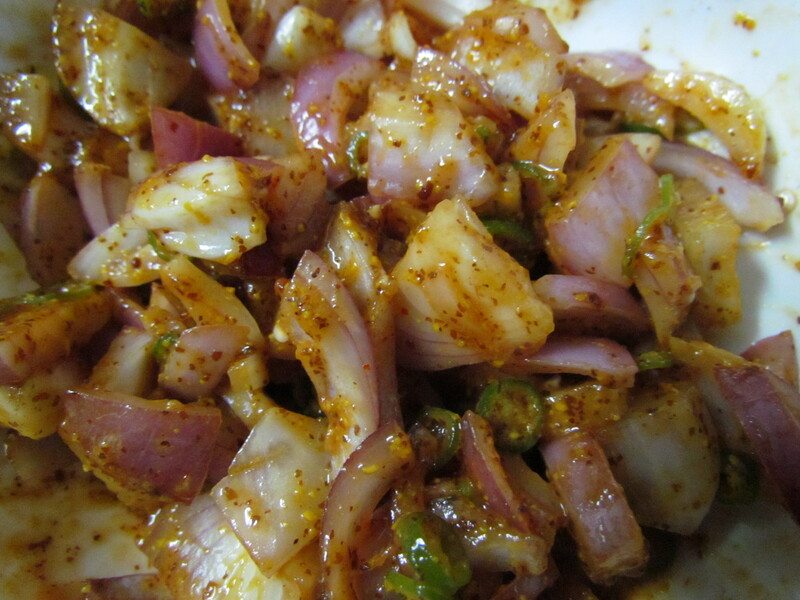 Add salt & half a tea spoon of Chaat masala, mix well & adjust seasoning. Keep aside. For the parathas, add salt & 2 table spoon of vegetable oil (or ghee) to 250g of refined flour (maida). Mix well & knead it to stiff dough – use lukewarm water to knead. 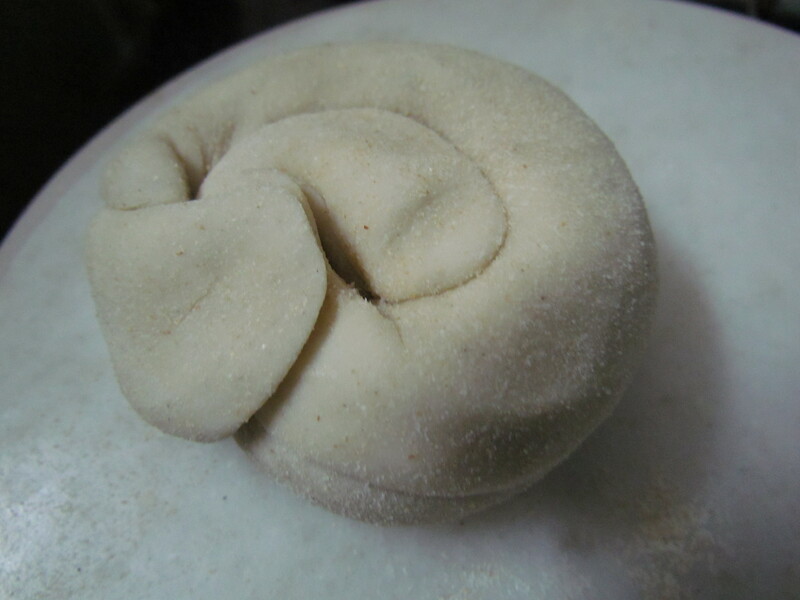 For the parathas, take a ball of the dough, round it & flatten it. 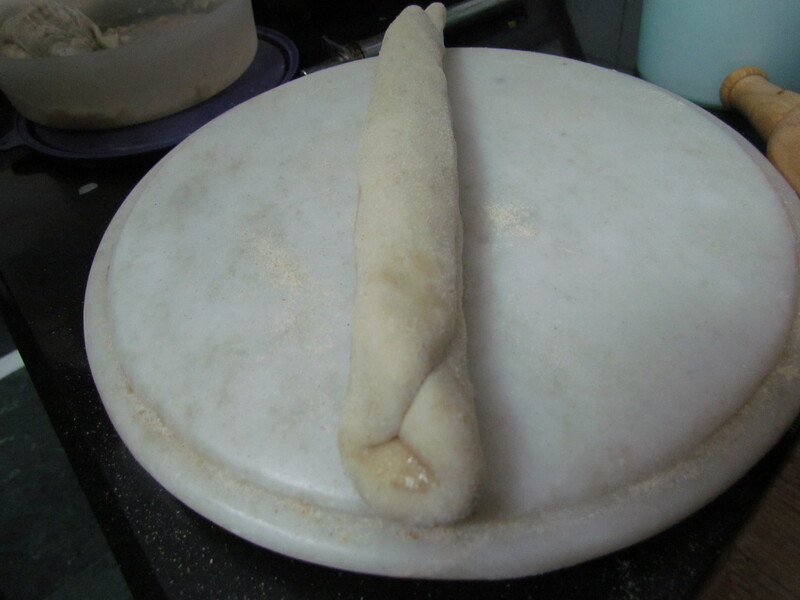 Apply ghee to the surface & roll it back to a cylinder like shape as shown in the picture below. flatten it again with a rolling pin. 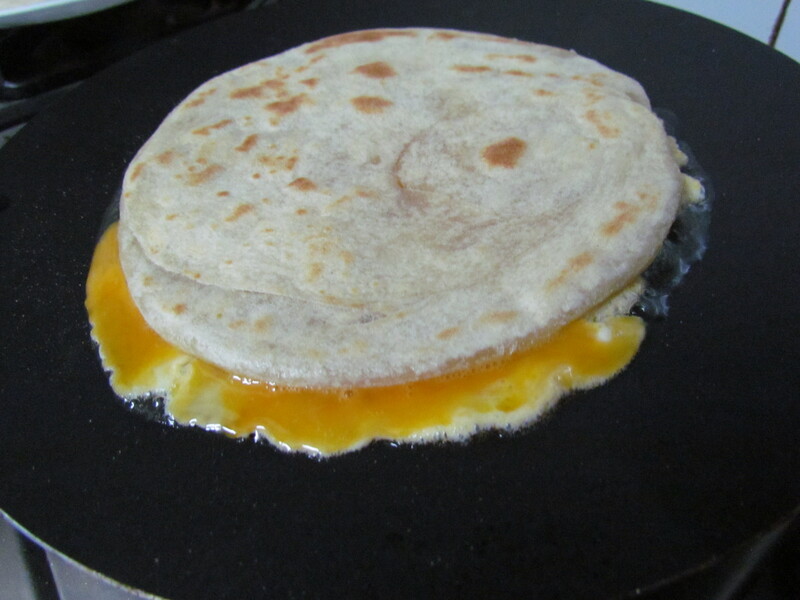 Cook the paratha on both sides on medium flame until little round brown spots appear. Remove the paratha & keep aside. Whisk 2 eggs & salt with a fork (do not use egg beater or electric hand mixer). Manual egg beating retains the taste of the egg better. 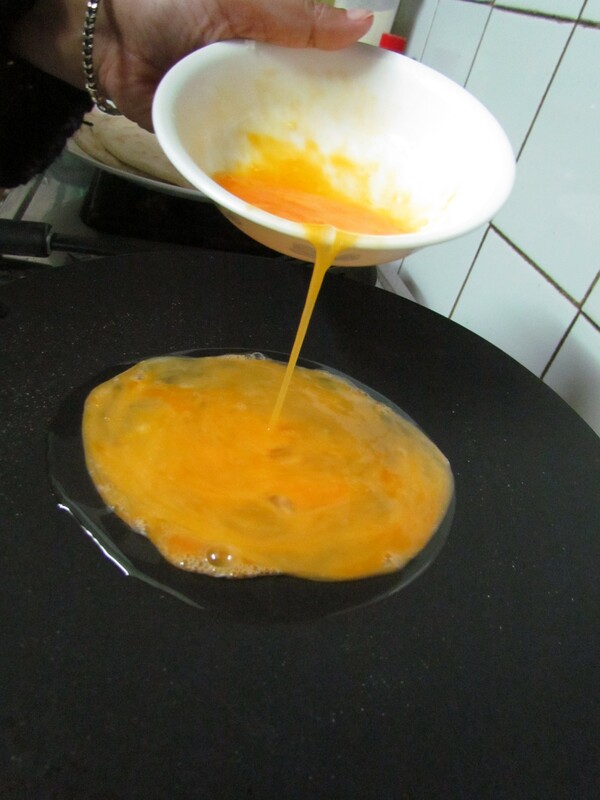 Heat oil on a frying pan & pour the beaten egg into it. 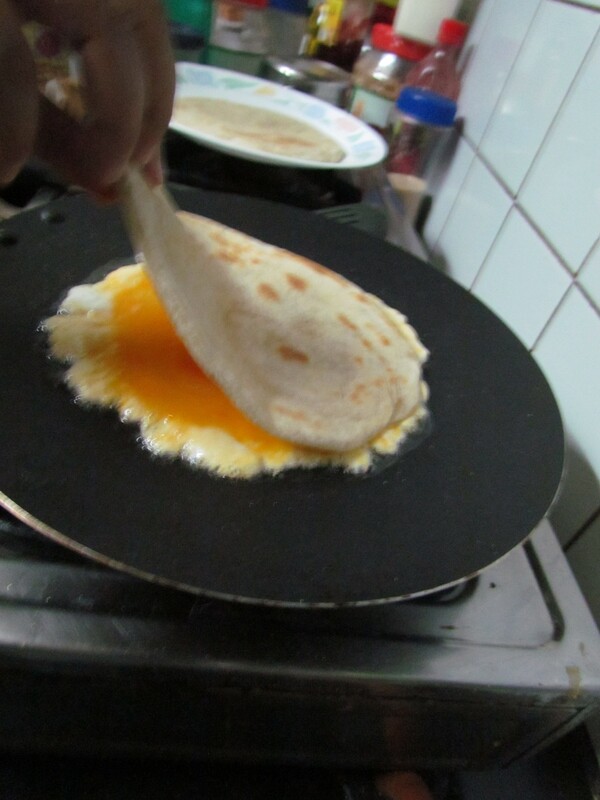 Immediately place the cooked paratha on top of the egg as in the picture. Let the egg set well. 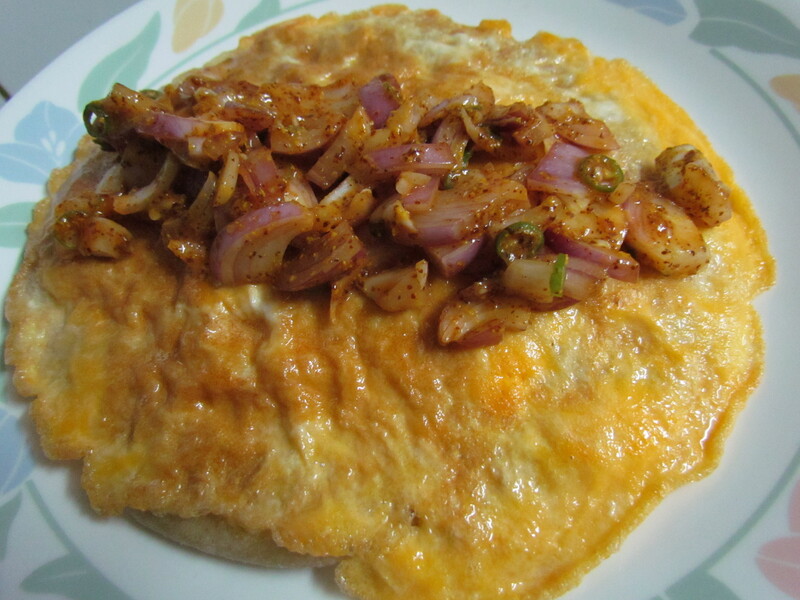 Flip the paratha & fry it with oil or ghee. The egg roll is ready to be assembled. 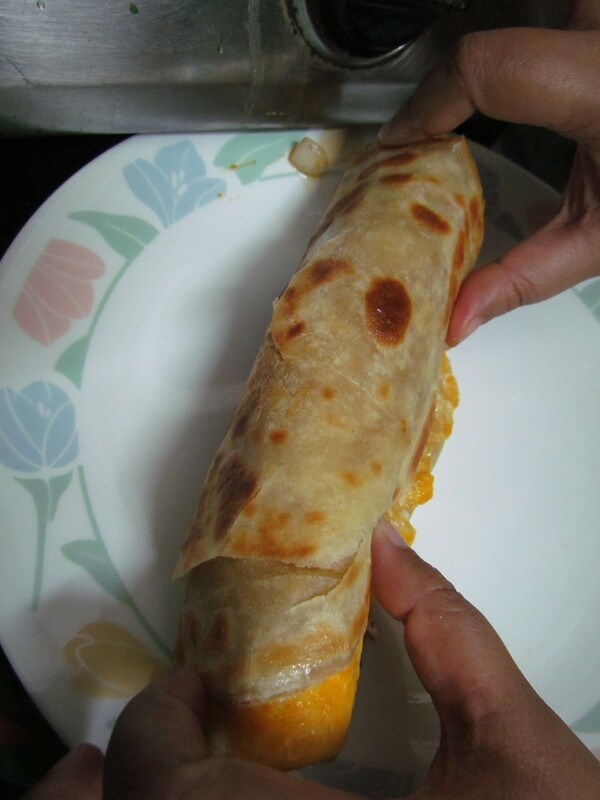 Place it on a plate, put the prepared filling & roll the paratha. Wrap it with paper for ease of holding. Take a bite & enjoy the standing ovation from ur tastebuds. check them out our restaurant The Daily Curry, its exactly the recipe you have shown Mr Basu..
Great to know that. Will try . Had almost given up trying to get a good Roll – after several bad experiences in Delhi & Gurgaon. Thank you for showing interest in the rolls though i’d like to correct my last message, ours is a home delivery & take away joint , we don’t have dine in facility as yet. awesome share man!! please share some more street food home made recipe with us! love the blog and your effort!! keep up! !